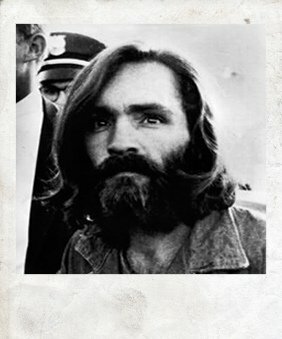 Charles Manson in dead. Manson the murderous mesmerizing monster. He was the perfect apocalyptic Boogie Man for the dawning of the Age of Aquarius. A guitar playing, sexed up, magnetic guru with scary eyes who ordered the members of his ragtag commune to kill seven people in two locations on as many nights, including actress Sharon Tate, eight months pregnant and the wife of director Roman Polanski, who only escaped the butchering because he was out of town at the time. In Manson, it seemed the Antichrist had come to call those two August nights in 1969, leaving “Pig” and a misspelled “Helter Skelter” scribbled in blood as his calling card. You could call it a waste of time to discuss how we ought to feel about this. After all, feelings are feelings and they just kind of come and go, and pontificating isn’t going to make much of a difference. Genius psychiatrist Shoma Morita likened emotions to clouds in the Japanese sky. They come, they go, they change, and there’s not much you can do to move or to change them yourself. On the other hand, our mind and heart and the words we speak to ourselves form the womb where our reactions and even our actions incubate before they are born for all to see. We are responsible for this womb of contemplation and incubation, so let’s talk about it. When it comes to the death of the wicked, we live our lives somewhere between “Ding Dong the Witch is Dead” and “Ask not for whom the bell tolls, it tolls for thee.” On the one hand, many crow with delight and celebrate when an enemy falls, and on the other hand some of us instinctively recoil over being gleeful over the death of a hell-bound soul once forged in the image of God before being misshapen on the anvil of drugs, lust, sin and rage. The Book of Books, the ultimate stone cold realist, is somewhat obsessed with the struggle between good and evil. It repeatedly speaks to the issue. And like Tevye he Milkman, the text says on the one hand this, and the other hand, that. See, for example, Proverbs 24:17-18. Here it’s personal. The person in view is not just a bad guy, but he is your bad guy. And here we are cautioned not to crow, gloat, and celebrate. And why? Because on the one hand, you want to see that enemy continue to get his, and you don’t want to distract God in the process. But on the other hand, God doesn’t like that kind of stuff, and if you don’t cut it out, the LORD may just turn his attention away from your enemy getting the comeuppance he deserves, and also he just might turn his attention toward you in a manner you will not likely enjoy. An example. At one time God used the vicious Assyrians to administer a harsh discipline to a long unrepentant Israel. He calls Assyria, “the rod of my anger.” But Assyria enjoys the role too much, with an inflated sense of its own power. Assyria gloats and crows. Isaiah issues a warning, “When the Lord has finished all his work on Mount Zion and on Jerusalem, he will punish the speech of the arrogant heart of the king of Assyria and the boastful look in his eyes” (Isaiah 10:12). Don’t let that be you. The word to us is to be careful about crowing and gloating. While we may want to see the wicked judged, God does not look kindly on our glee when that happens. Job gets the message, characterizing his posture as a righteous man, by saying he himself would deserve being chastened by God, “If I have rejoiced at the ruin of him who hated me, or exulted when evil overtook him. (I have not let my mouth sin by asking for his life with a curse)” (Job 31:29-30). I think perhaps we need to add an eleventh commandment to the ten with which we are familiar. It is this: “Don’t get cute.” This kind of cuteness, smugness, and glee over the perils of others is precisely the kind of cuteness that disgusts God. While it is true that the Israelites were singing at that time, joyous at having been delivered, a song which religious Jews have been repeating every day since, God expected something more of the angels. It is normal to rejoice at the death of the wicked. But we should aspire to something higher than what is just normal. We should aspire to what God expected of the angels. The Manson murders were a tragedy we should never forget. But his life was also a tragedy. And yes, even his death. We need to remember that Manson was in the beginning God’s creation. Forged in the image of God. Mishapen on the anvil of sin. Discarded into the fires of hell. There’s nothing to rejoice about here. So let’s not. Thank you for your kind response, Karla.